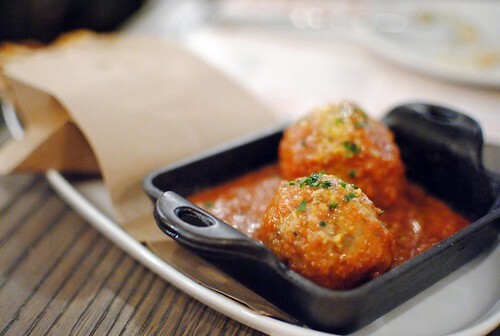 Mercato di Vetro is sbe group’s (The Bazaar, Katsuya, Cleo) latest restaurant venture, an Italian concept in WeHo which opened earlier this month. 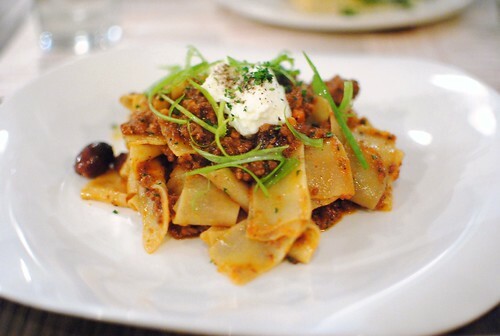 The concept is an extensive menu of Italian small plates split into antipasti, salads, wood oven, meat, fish, raw, and pasta – all within $17. 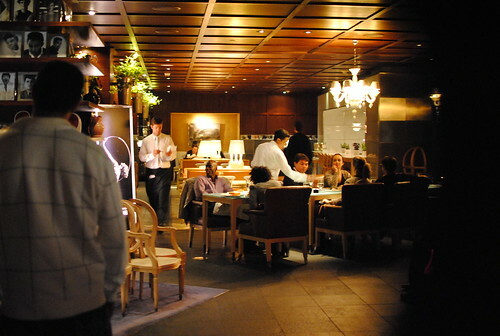 Expectantly for an sbe restaurant, it’s a nice looking place. 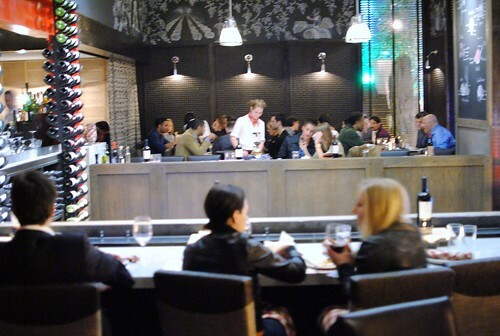 I’m always a little skeptical about these establishments – does the emphasis on creating a trendy, loungey atmosphere overshadow the food? Many times it does. 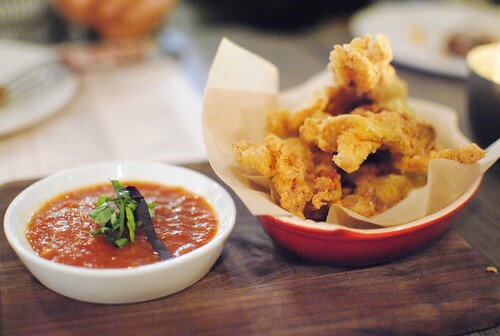 But sometimes, a good balance is found that can cater to the pre-club crowd, as well as those that just want some seriously good grub. Early reviews on Yelp have been very strong with 4.5/5 stars – sounds promising enough. 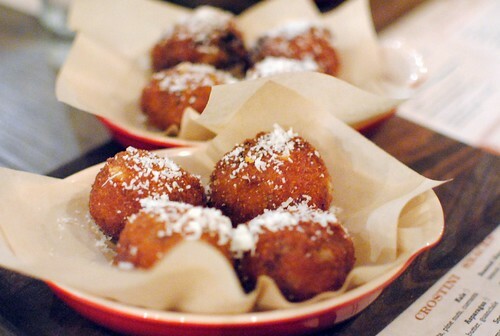 We started with some arancini, Italian rice balls. I thought these were pretty well done, the rice still had some texture (wasn’t mushy) and there was a nice sort of herbal flavor present too. Liked the delicate, crispy exterior. Solid squash blossoms, but I would’ve preferred a lighter batter. 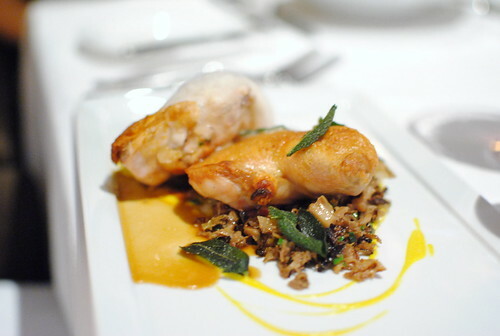 There was too much of a textural overload, overshadowing the tender squash blossom. The marinara sauce was good. One of the better dishes of the evening, the liver was very smooth with the characteristic minerality coming through. 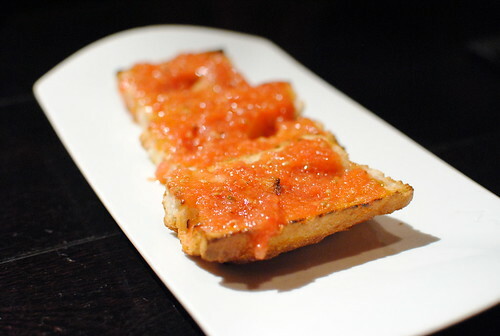 I thought it was well-balanced by the fig jam, which added a welcome sweetness to complement the liver. Very simple, but another good one. 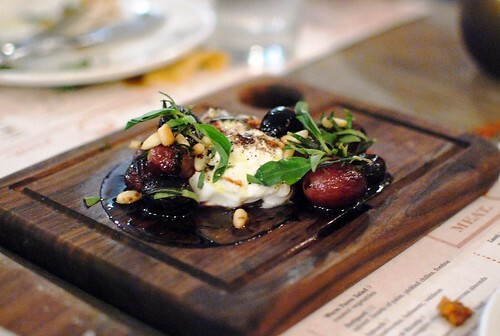 The burrata was good and really went well with the grapes, which were slightly roasted to bring out the natural sugars. 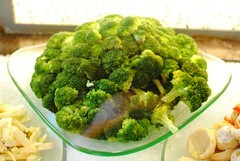 A little herbal greens added some depth of flavor, while pine nuts added some texture. 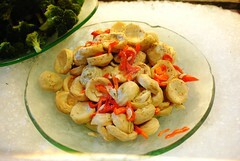 Basically just roasted mushrooms, I thought these were excellent. 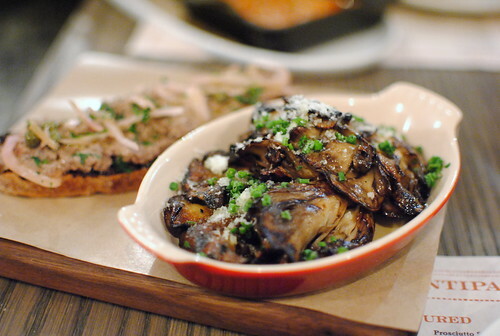 A crusty char was achieved on the mushrooms, which really brought out the earthy flavors. I don’t think it even needed the aioli or parmesan, but they helped to add body and richness to each bite. 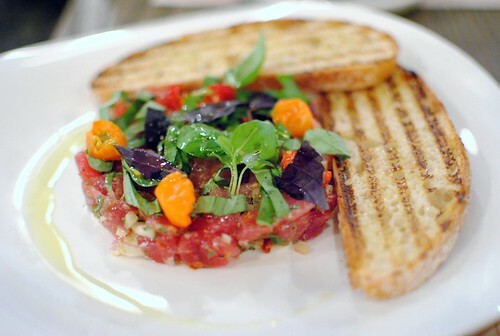 Pretty good as tuna tartare goes, I thought the tomatoes and some citrus flavor really brightened the flavors up. 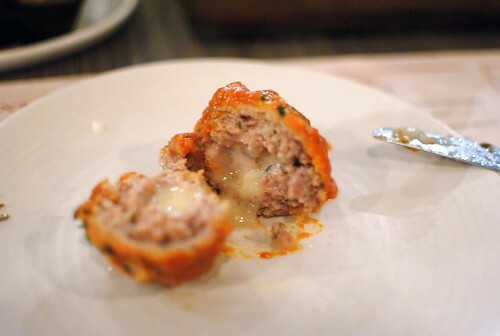 Solid meatballs. Nothing special really, but it was fun to break them open and have the cheese pour out. 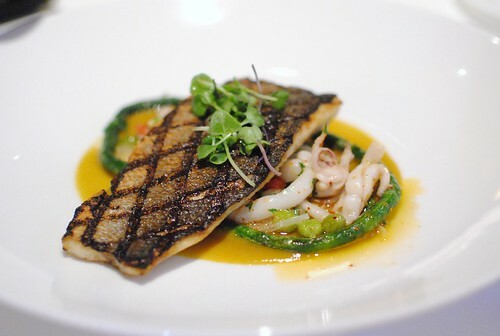 The branzino was cooked well, yielding a crispy skin and moist flesh. I’m not sure I quite got the curried cauliflower flavor, and I thought something in here was a little overly sweet. 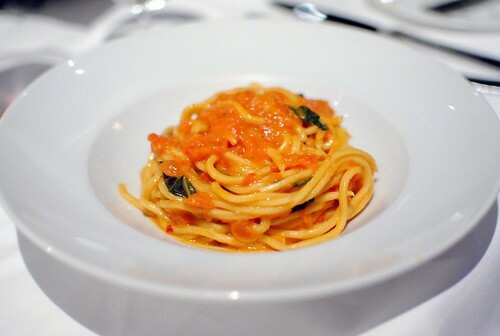 This was the lone pasta we ate, and I found it disappointing. The pasta was slightly overcooked, not having quite the chew I was looking for. The flavors of the bolognese were somewhat muted too. I was a little concerned this pizza would have an overwhelming grassy, vegetable flavor. 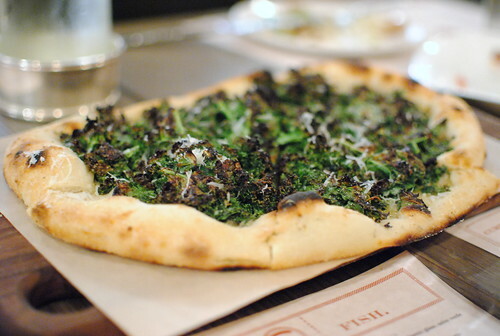 Wasn’t the case here as the kale was pretty tasty; the caramelized, blackened ends added a sort of sweetness and smokiness. 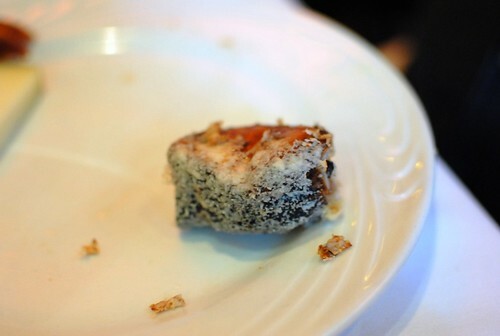 However, I thought it was a little heavy-handed with the salt, and parts of the crust weren’t quite as crispy as hoped. Both desserts were pretty solid, though I may have expected a little more creativity at $10 apiece. 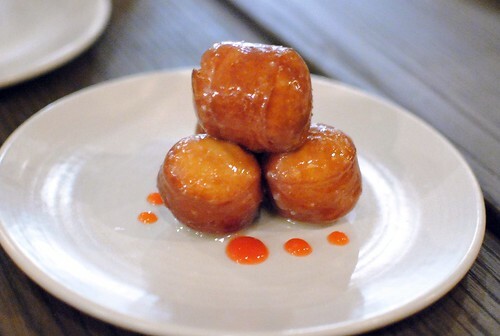 For example, the bombolini’s (donut holes) freshly fried and glazed dough is going to be delicious, but I thought more of a sauce (or at least ice cream) was in order. I didn’t get too much of the blood orange flavor. 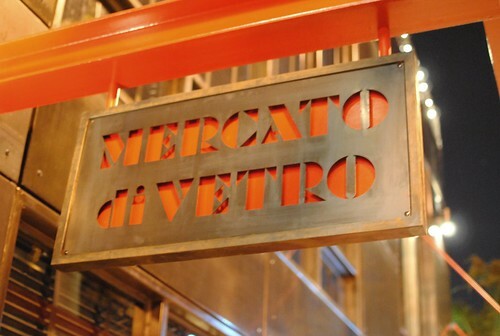 The food at Mercato di Vetro was solid, and the meal as a whole was enjoyable. 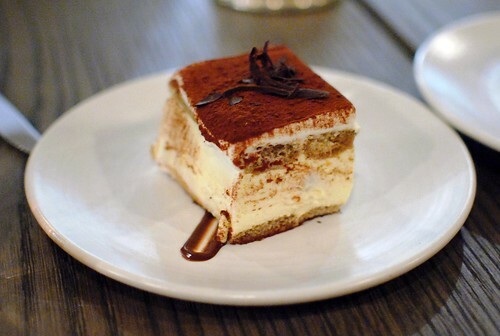 Sure, the cuisine at Mercato di Vetro isn’t particularly innovative or creative, but that isn’t its niche. 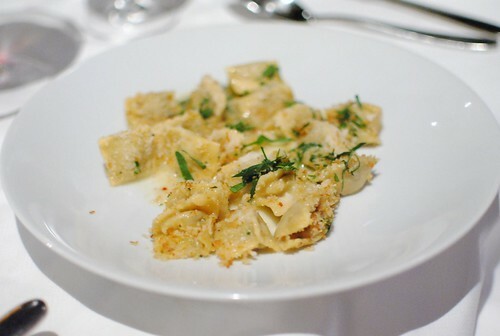 Rather, it sets out to present easily accessible Italian food, and it does that. It’s definitely a viable option in West Hollywood, but I wouldn’t call it a destination restaurant. 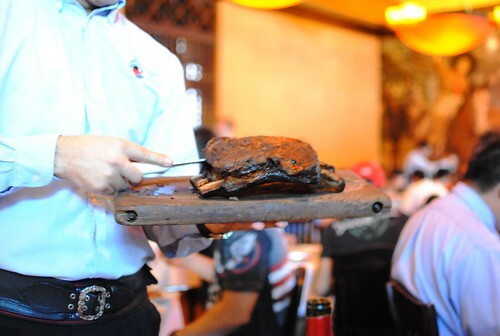 Fogo de Chao is a Brazilian chain of churrascarias – restaurants that roast meats on open fires, a tradition that reflects the native gaucho way of life. Here in America, they’re often all-you-can-eat and offer a wide variety of meats. Fogo de Chao is one of the higher-end chains with an all-you-can eat set price of $57 dollars per person for dinner ($35 for lunch). 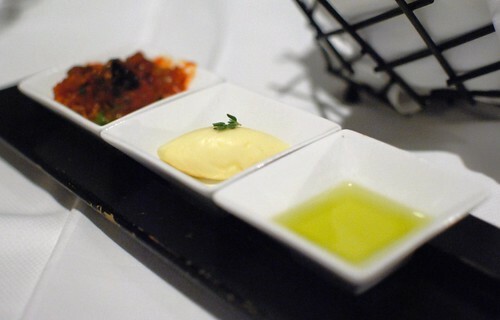 Whereas some restaurants serve smaller portions for DineLA or create separate menus (with higher-margin dishes), Fogo de Chao does something rather unique – the restaurant drops the price of their regular meal to match DineLA. As far as I know, it’s exactly the same experience, and the lunch options are the same as dinner. I had the Columbus Day holiday off, so it was a perfect time to come. 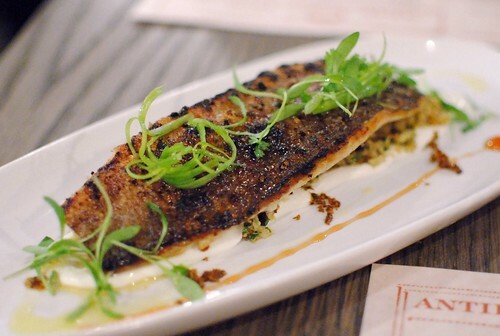 At the $28 DineLA lunch price, it ended up being about half the cost of a regular dinner. Score! 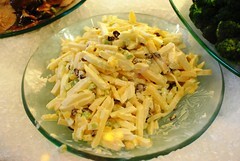 At the beginning of the meal (and throughout), guests are invited to help themselves at an extensive salad bar. 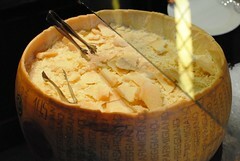 There’s dozens of items available, from a bunch of salads and vegetable options to smoked salmon and even a wheel of Parmigiano-Reggiano. 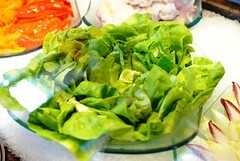 Personally, I try to keep these items to a minimum on my plate, instead saving stomach room for more meat. Gaucho chefs roam the dining room carrying large skewers (swords?) 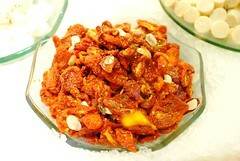 with various cuts of beef, lamb, chicken and pork (around 15 different varieties). 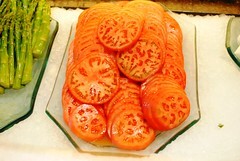 Each diner has a card with a green side and a red side – show the green side and the chefs will come to the table offering their selection; show the red side to signal a break. 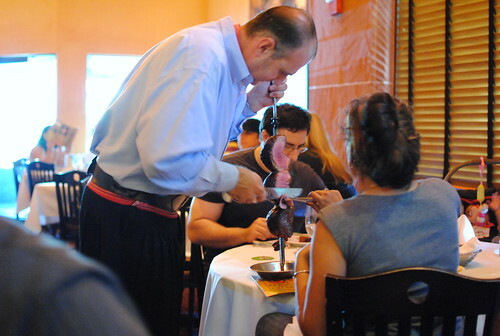 Meats are carved tableside straight to the plate. 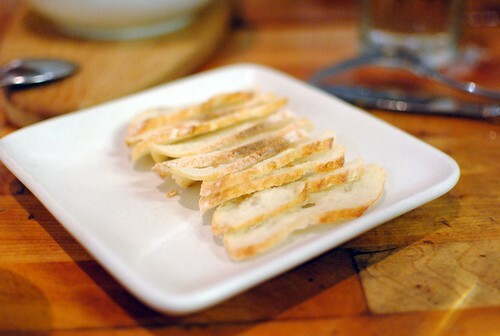 A few side dishes automatically come to the table as the meat service begins. 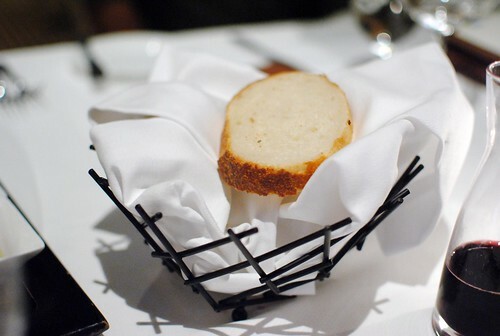 Unfortunately, I think they forgot to give us one more side – warm cheese bread. The sides were solid though nothing special. 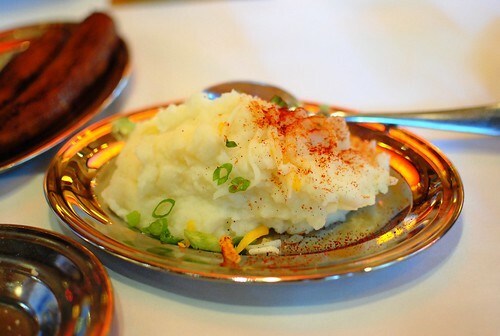 I tend to like a starchy side such as mashed potatoes with my meat, so these came in handy. 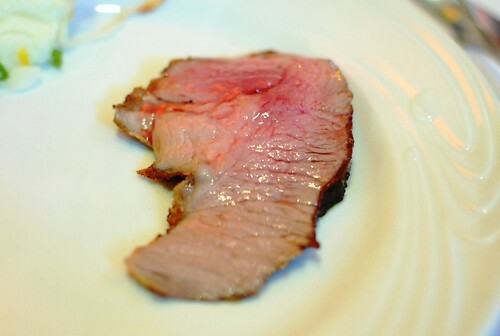 PICANHA Our signature cut, this prime part of the sirloin is served seasoned with sea salt or flavored with garlic. A nice medium-rare piece, the key here was to get an end cut. 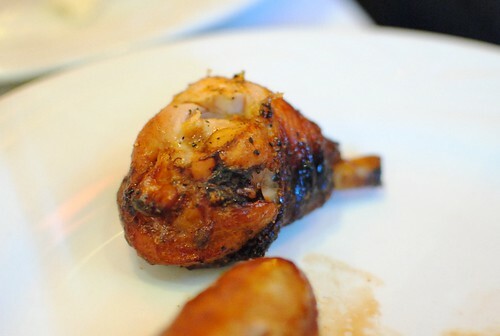 The crusty exterior had a nice garlicky and salty flavor which really complemented the meat. 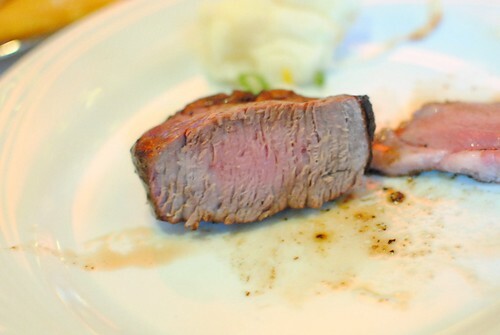 FILET MIGNON This succulent piece of meat is cut from the tenderloin and seasoned to perfection. This was cooked medium-well. 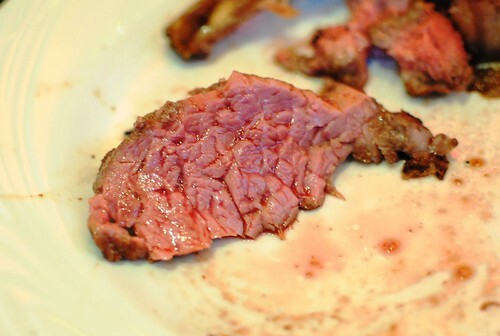 Of course, the tenderloin is one of the worst cuts to overcook and I found this expectantly dry and mealy. I didn’t try this particular one; a previous experience was unmemorable. However, I heard it was better than the previous filet cut this time around. 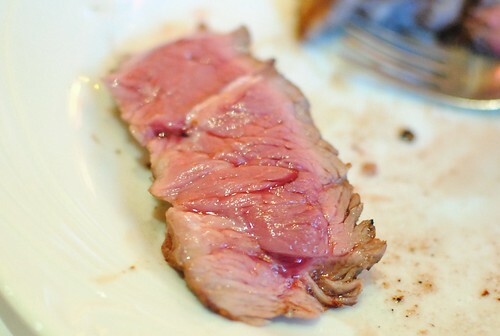 ALCATRA Cut from the top sirloin this piece of meat is tender and full of flavor. 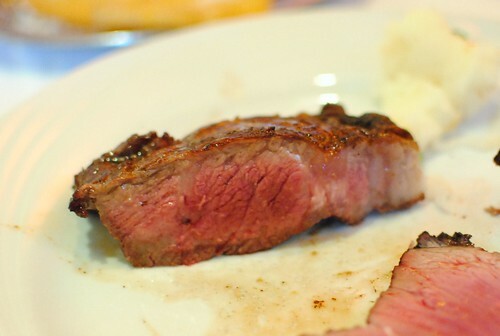 Another sirloin cut – quite good, though I enjoyed the picanha a little bit more. 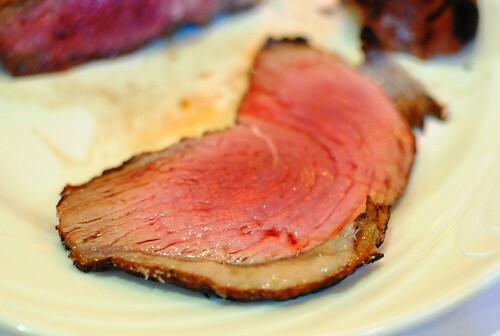 FRALDINHA Cut from the bottom sirloin and seasoned to perfection. 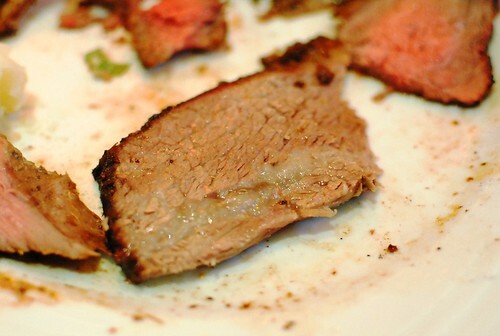 This was one of my favorites of the meal..it looked kinda like brisket. 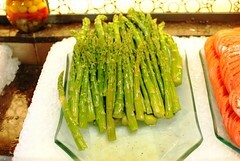 Really tender, juicy and flavorful – I think I had 3-4 servings of this one. 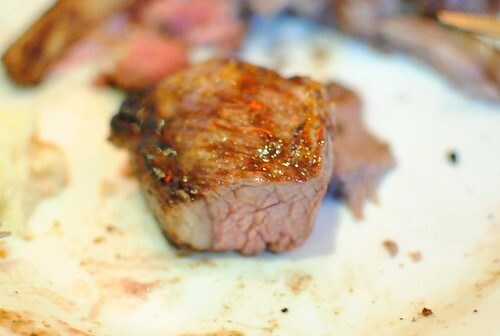 The garlic flavor was subtle, but like all of the other sirloin cuts, this was tender and had a lot of beefy flavor. BEEF ANCHO The prime part of the rib eye, beef ancho celebrates the rich flavor and the delectable texture of this elite cut. Hard to go wrong with a ribeye when it’s cooked well, and this was a fine example. The other two in the party preferred this ribeye over CUT‘s domestic Prime ribeye (which costs twice as much as this whole meal). Bold words. I couldn’t quite agree, but this was a good piece and presented a lot more value. CORDEIRO Fresh, leg of lamb sliced right off the bone. Not bad. My piece was cooked more than I preferred, but the flavors were there. Not overly gamey. PORCO Tender pork loin encrusted with parmesan cheese. 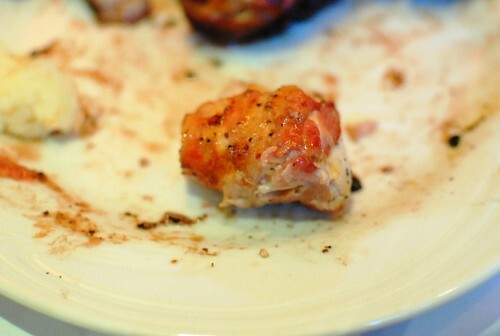 Maybe my least-liked meat of the meal, this was just way overcooked. 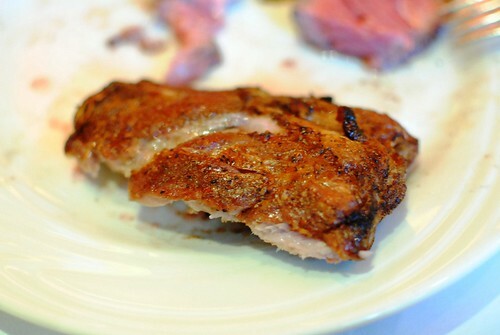 This pork was much better with a crusty exterior bark and tender, rich meat. A really nice smokiness was imbued into the pork as well. FRANGO Succulent chicken legs and tender chicken breast medallions wrapped in bacon. A surprise of the meal. These were really good; a smoky flavor really came through with each bite of meat. Chicken breast wrapped in bacon. Like the filet wrapped in bacon, I passed on this one too. 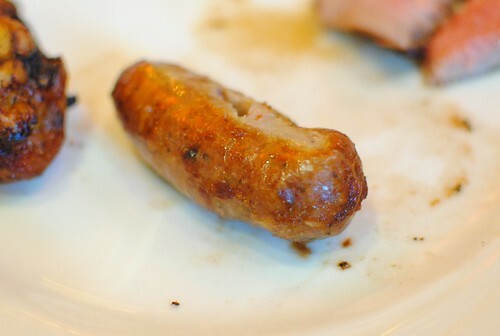 LINGUICA Robust pork sausages seasoned and slow-roasted to mouth-watering perfection. 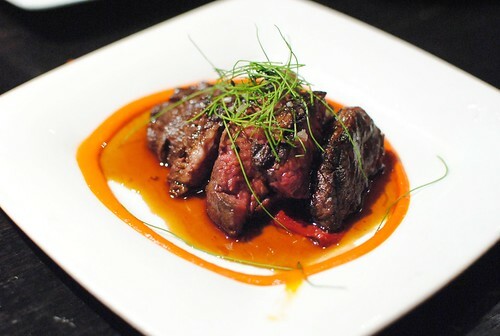 COSTELA Tender, juicy beef ribs cooked slowly to preserve their rich natural flavors. I don’t think these regularly come around – apparently you have to request it. A fantastic beef rib – rich, succulent piece of meat with a good beefy flavor and a crispy exterior. 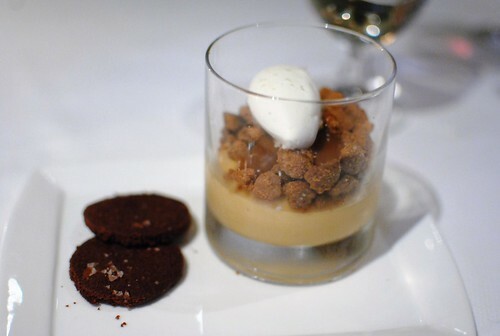 Very tender..
Desserts are regularly a la carte, but they were included for DineLA. Something sweet was actually a nice way to end this heavy and rich meal. 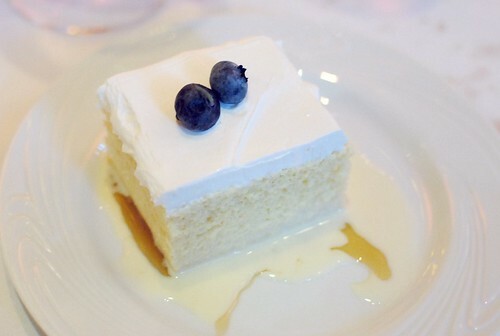 I went for the tres leches. Not bad. Pretty sweet, but not overly so, with a really moist cake (no doubt aided by the milks). Service was actually pretty attentive and repeatedly asked if everything was good. If we wanted a certain cut of meat, the servers were quick to send over the right gaucho chef with the meat. 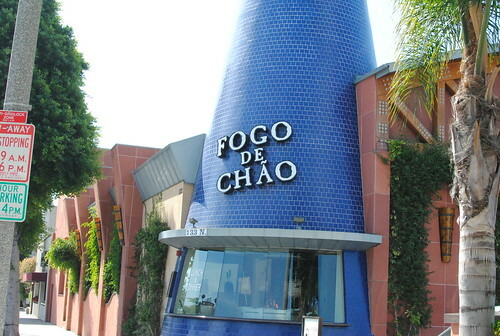 Was Fogo de Chao the best DineLA deal? I didn’t try enough of the restaurants to say anything like that, but this lunch had to be up there. I think this was a steal for $28. There were some inconsistencies in the temperatures of some meats (a number were pretty overcooked) but I easily overlooked this at that price point. The quality of other cuts more than made up for it. 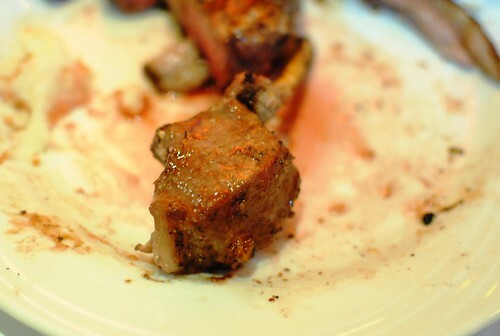 Many times, a second serving of a previously-overcooked meat was much better. At the regular dinner price of $57, I’d probably have different standards. 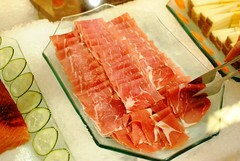 Still, there was a very wide variety of delicious meats and that’s hard to complain about. 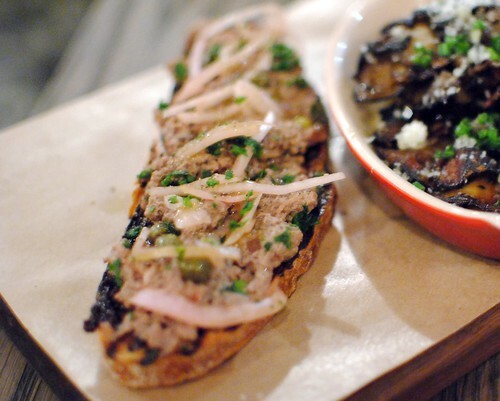 Lucky 13 is the latest “Bistronomics” pop-up from the team of Jet Tila (Wazuzu) and Alex Ageneau (formerly of The Royce). 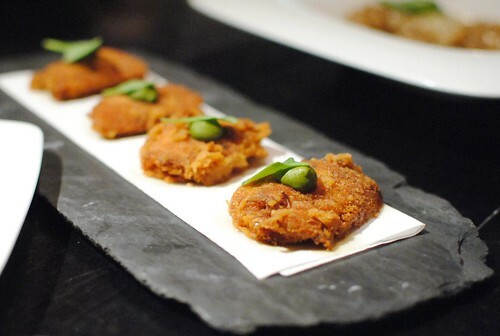 The fourth in their “Bistronomics” series, the core concept remains the same – creating upscale food in a casual environment for a reasonable price. Sounds simple enough, right? 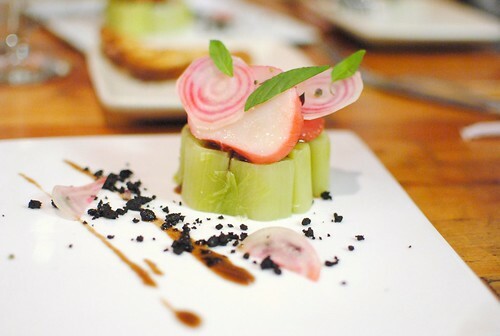 I attended the second iteration of Bistronomics in April (“Play With Your Food”) and found that meal to be quite good. 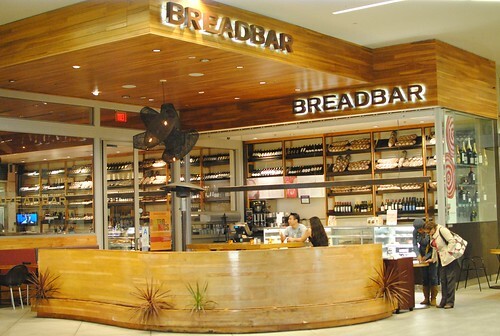 I missed out on the third, but found myself at this fourth “Bistronomics” at Breadbar Century City. This latest incarnation had a menu largely driven by Ageneau’s French background, with 11 a la carte dishes priced between $8 and $18. 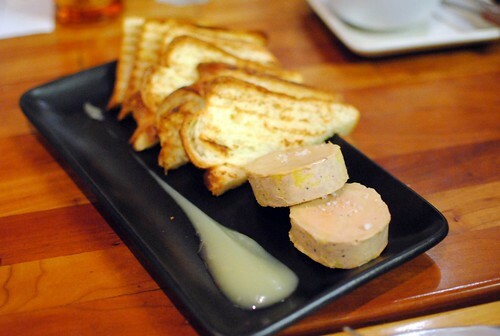 We started with a generous portion of the foie gras torchon (though I think this was a double-portion). 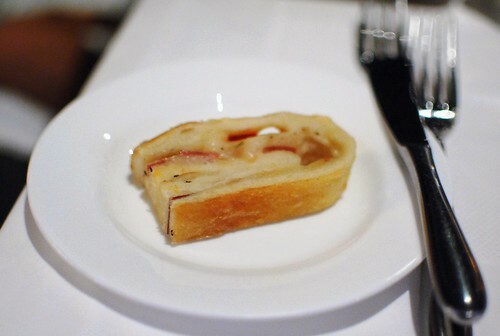 It was velvety smooth with a rich, foie gras flavor – perfect for spreading on the crusty brioche. 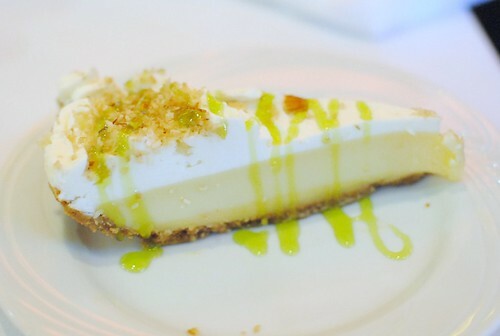 A classic dish well-done. 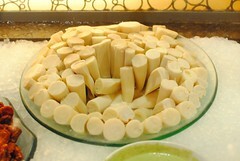 I’m familiar with water chestnuts in Chinese cuisine and was intrigued to see them here. 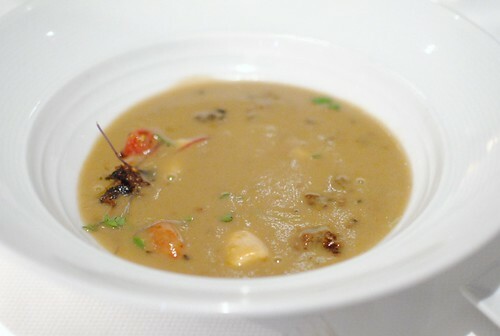 The bisque exuded a strong lobster flavor while the water chestnuts provided just a slight crunch for texture. A welcome dish given the cold evening. Beautiful presentation here. 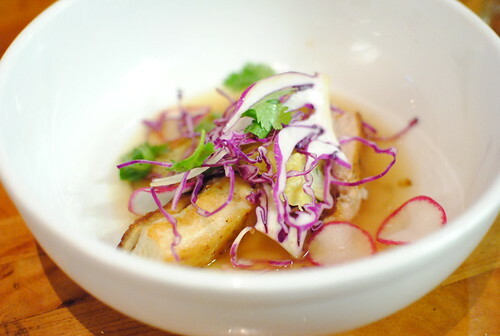 The scallops were prepared in a unique way (poached with beets), giving them the pinkish hue. The leeks added some earthy body, while the crunchy black olives provided a slight crunch to each bite. 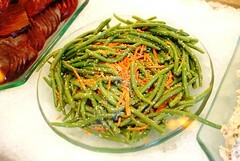 This was supposedly the first dish Ageneau learned to make from his grandmother. 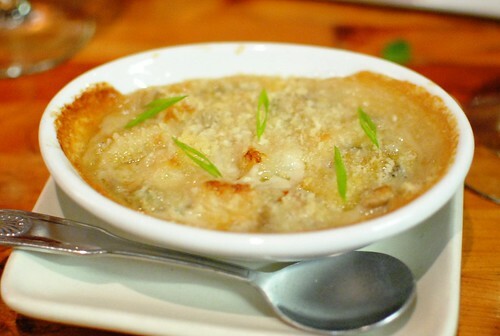 Really comforting and homey (it screams ‘rustic French!’), it had a lot of the flavors of a clam/seafood chowder. The interior was creamy and rich (yet not overly so), while toasted breadcrumbs on top added a really nice textural element. Here we had a sort of yin and yang of light fishy brandade with a rich, meaty ragu (as well as crostini for sopping it up). Very different flavors, and I’m not sure they came together as intended. 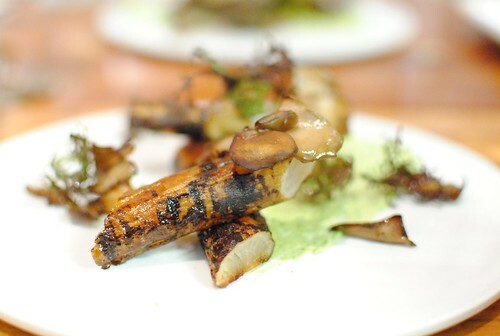 The exterior of the salsify was charred, bringing out some of the inherent sweetness of the root vegetable. The maitake mushrooms were delicious, while the garlic and herb sauce rounded out all of the earthy flavors on the plate. I was really looking forward to this one. 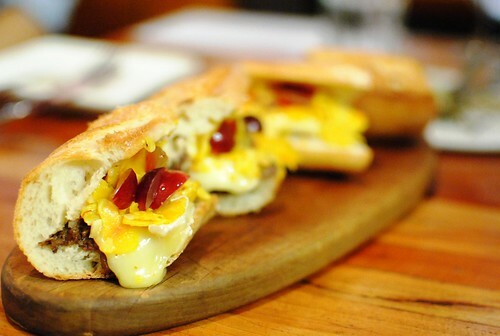 The brie and grapes added more traditional French flavors to the already French-influenced banh mi. I liked the combination, though preferred more oxtail as the brie and grapes seemed to be the star (though, I think the most traditional banh mi are not as meat-centric as more “American” sandwiches). 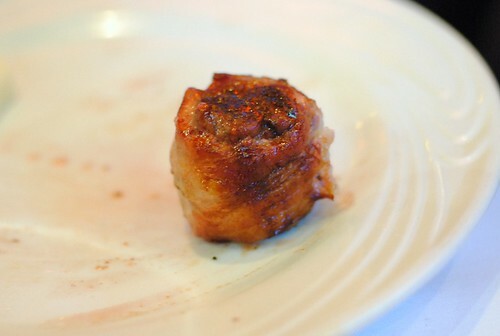 The pork belly here was relatively lean (which I liked), though still tender and flavorful. Still, it was a rich cut of meat and I think the cabbage was critical in cutting through some of that. 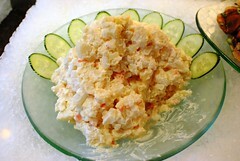 Essentially, a simple meat-and-potatoes dish. 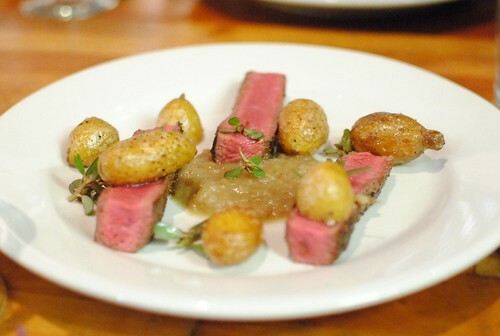 Both the potatoes and steak were perfectly executed; however I thought the shallot/whiskey marmalade really elevated the dish, adding a savory sweetness to each bite. 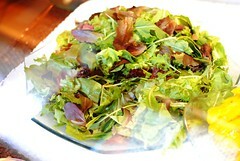 The baby purslane was a nice touch, too. The cakey clafoutis was tasty, moist and mildly sweet. The same could’ve been said of the pears. A little bit of coffee flavor added some depth. The ganache was pudding-like in consistency with a hearty chocolate flavor. Pretty tasty, while the gingerbread crumble added some crunchy texture. 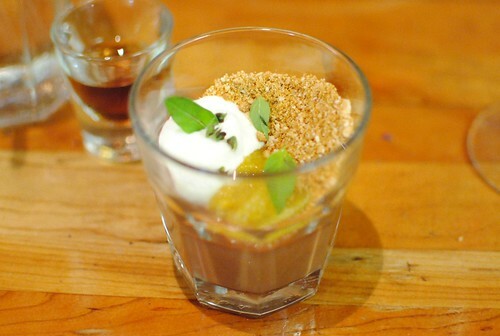 I really enjoyed the lemon basil, which added bursts of aromatic, savory flavors to pair with the chocolate. This was another good meal. 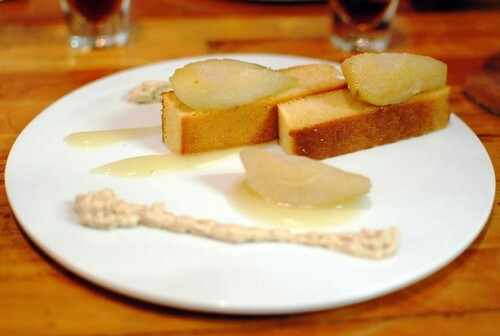 “Bistronomics” delivered upon its promise – the food was inventive and creative…interesting. 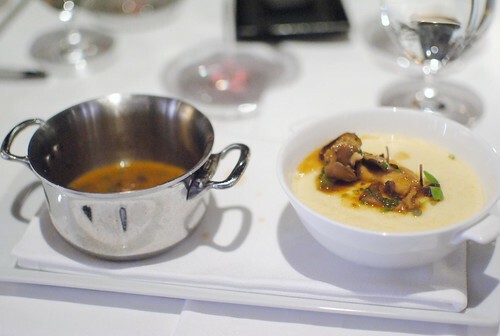 Most importantly, I thought flavors were on point for the most part, with my favorites being the foie gras torchon, seafood gratin and flat iron steak. 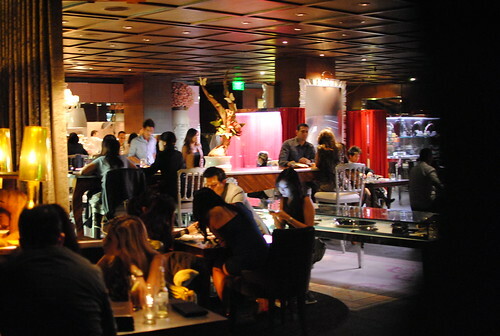 Various reports have suggested that Tila and Ageneau will open something more permanent in LA. 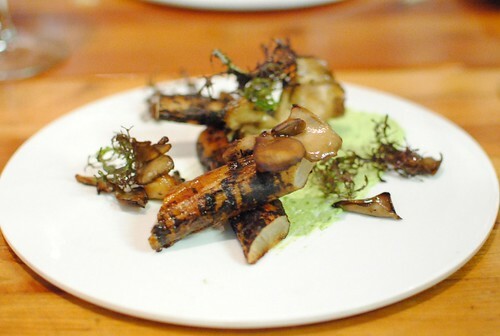 It seems that they are still playing around with the type of food at these pop-ups, but the core concept “Bistronomics” will surely be at the center. 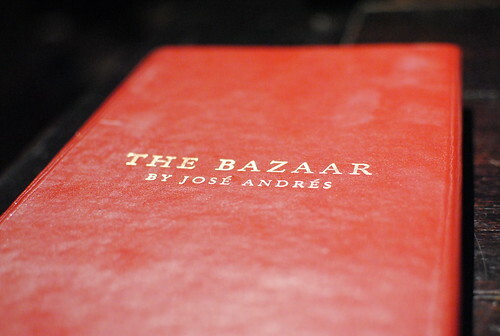 Since opening in late 2008, The Bazaar has probably garnered more accolades than any other restaurant in the city. 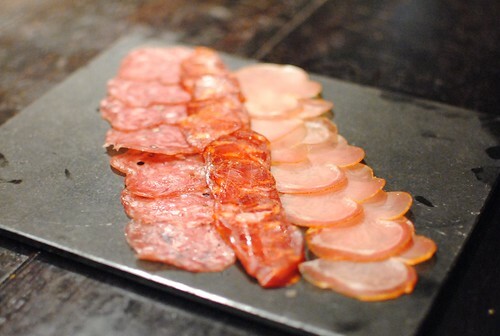 It’s still a very popular restaurant that continues to garner national attention, propelled by the rise in both Spanish cuisine and chef Jose Andres’ popularity. From previous visits, my overall impression is that the entertainment factor of the food is unmatched in LA, but taste-wise it can be hit-or-miss. Sometimes I’ve felt that dishes are more of a ‘show,’ and that the flavors get lost (particularly dishes served in the Saam Room). 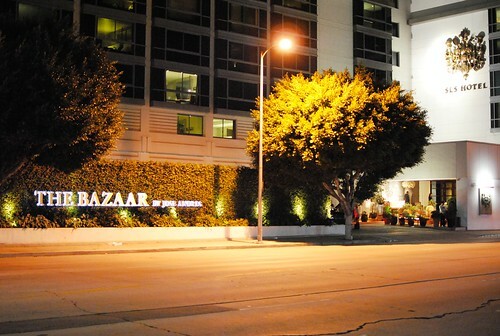 I can’t remember how many times I’ve been to The Bazaar, but it’s been a while. 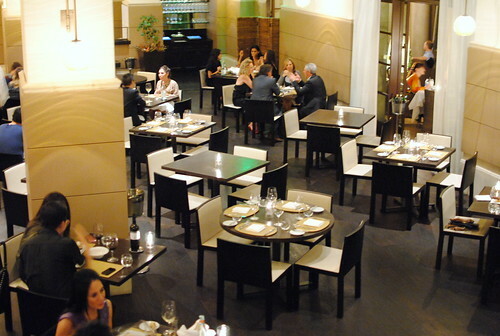 DineLA was the impetus behind a return, and I think the DineLA deal was a pretty good one. An extensive list of options from the regular menu were available, and each diner picked one small plate, three medium plates, and one dessert. There are a number of well-known, “signature” items at The Bazaar (liquid olives, cotton candy foie gras and dragon’s breath come to mind), but this might be my favorite. I’ve gotten this each time I’ve been, and it has never disappointed. 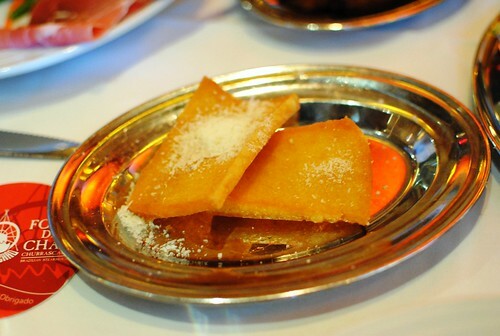 The air bread was a hollowed out, crisp “loaf” filled with a light and creamy cheddar cheese. Delicious seared wagyu beef topped it off. 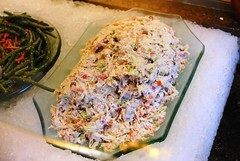 All of the flavors of a typical Philly cheesesteak were present, but it’s done in such a playful manner here. 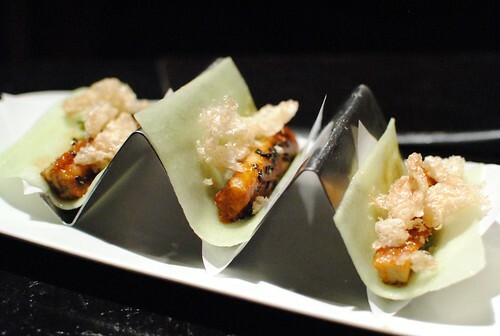 A unique creation to the restaurant, the eel was rich and tasty, complemented by textures from the cucumber and chicharron. The shiso added a little bit of an almost minty flavor, rounding out the bites. 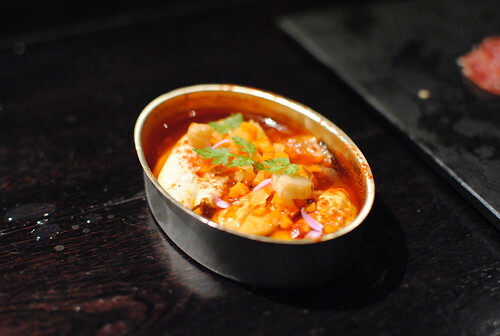 Served cold in a tin can, the mussels were doused with olive oil and vinegar. 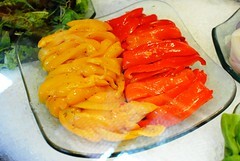 I liked the smoky, peppery pimenton with the mussels, but thought the vinegar’s acidity was overwhelming. 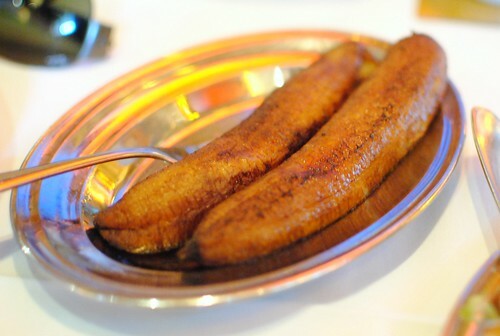 Embutidos, or Spanish sausages, were served with toasted bread, which was topped with a tomato spread. Nothing particularly special, but it was tasty. 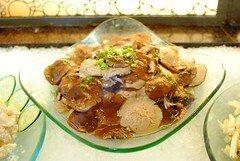 Surprisingly good, I found the rice to be perfectly cooked, and the dish exhibited a bold, upfront mushroom flavor. 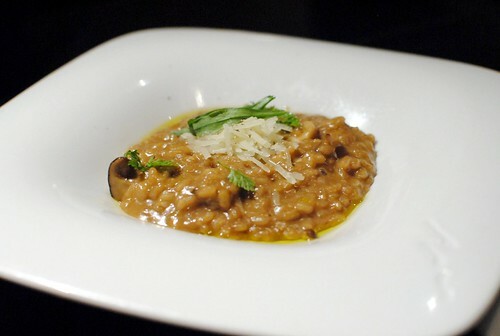 Very rich and creamy (basically a risotto), and done well. 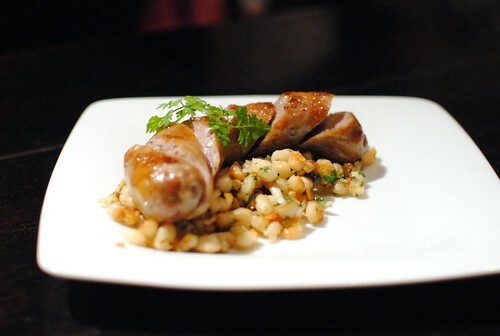 The juicy and flavorful sausage was at the center of this dish and it didn’t disappoint. The beans added some extra body – not the most interesting thing on the menu, but the flavors were there. 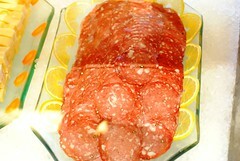 A favorite from past visits, I thought the meat was slightly mealy this time. However I liked the breading, light and very crispy, making for a couple of perfect crunchy bites. 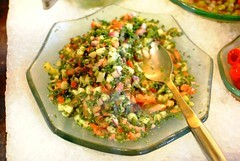 I didn’t think the green olive puree added too much, but I still enjoyed this. Loved that the scallops were huge; temperature-wise I thought they were cooked well but there could’ve been a better sear. 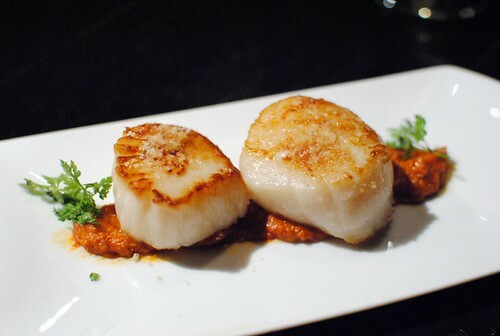 Tasty scallops for sure, but the Spanish flavors of the romesco was what stepped up the flavor a few notches. 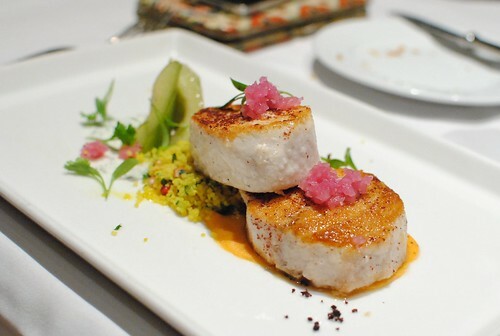 Like the scallops, this dish was another well-cooked protein heightened with some Spanish accents. 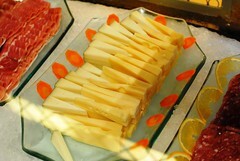 The piquillos added a welcome sweetness and depth to the beefy flavors of the steak. 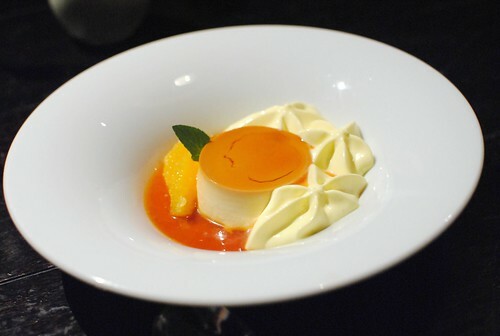 Expectantly, the flan was done well. 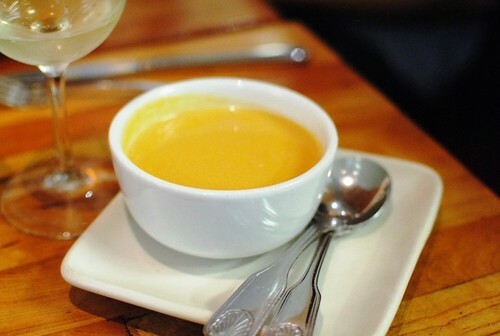 Subtle caramel and vanilla flavors came through in the silky smooth custard with a little bit of a citrus complement from the orange. I thought this was a good meal and one of the more satisfying meals I’ve had here (maybe due to expectation-management). 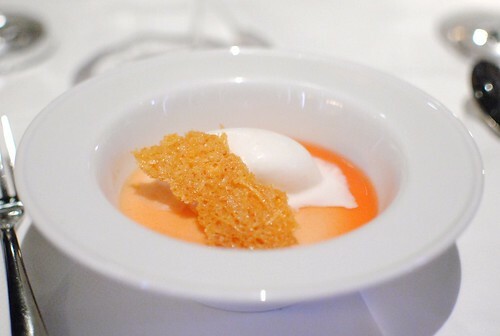 Not sure if it was just coincidence, but we stuck to dishes that were simpler Spanish flavors and less towards the molecular gastronomy flair. 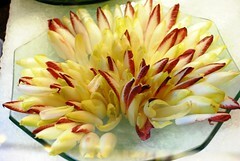 What resulted were more focused flavors and strong execution. 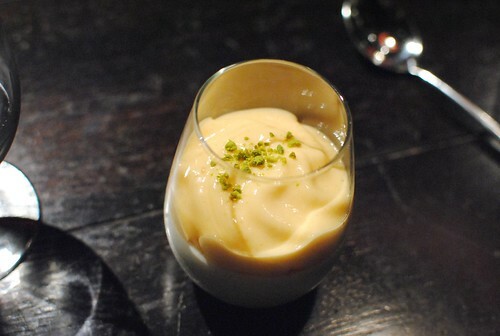 The private Saam Room focuses in on more of the molecular gastronomy in its 20-course tasting. 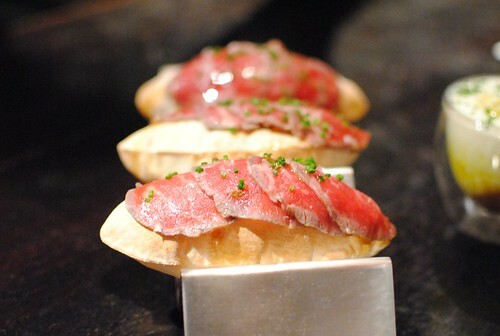 My opinion is to save the dough and bring it to Jose Andres’ Vegas outpost (é by Jose Andres), which is superior in just about every way. 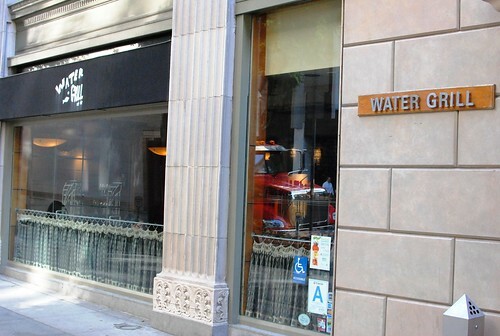 Water Grill has been around for two decades, an old staple in the upscale dining segment of downtown LA. Catering largely to the business crowd dressed in suits, I remember being fairly intimidated when I first dined here as an 18-year-old college freshman (according to my OpenTable history, it was the third OT reservation I’ve ever made, after Aqua and Gramercy Tavern). The food was delicious though, and I instantly became a fan of then-chef Michael Cimarusti’s food. 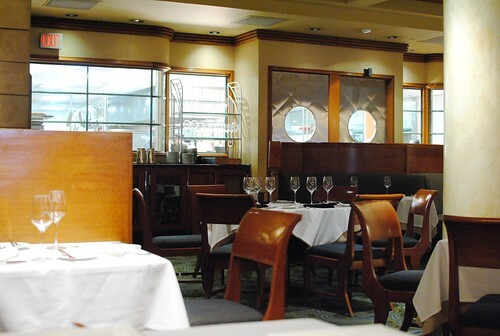 Just a few months later, Cimarusti would leave to open Providence and David Lefevre continued executing Water Grill’s seafood-centric menu. 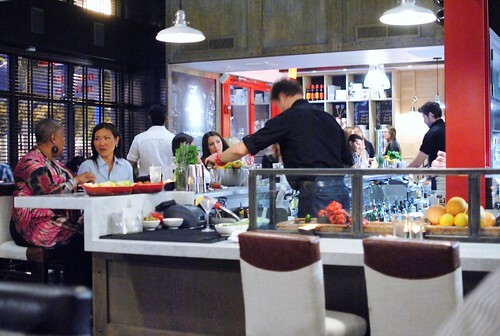 After about 6 years he, like Cimarusti, moved on to open up his own popular, more casual eatery MB Post. Amanda Baumgarten (“Top Chef” season 7) took over for a few months, but I’m not sure who exactly is helming the kitchen nowadays. 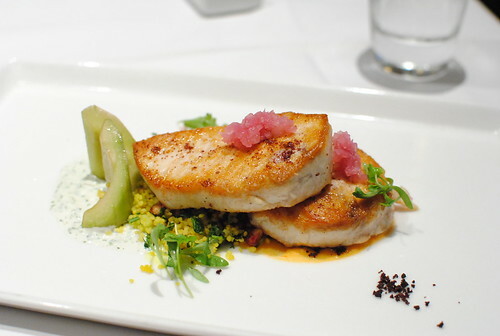 When my coworkers and I were looking to try something new for DineLA, Water Grill came up. Although recent kitchen turnover would typically steer me away, the price was right. The DineLA lunch, at 3 courses for $28 (3 options for each course), was a pretty good deal considering the regular price of lunch entrees start in the mid-$20s. A constant on the menu as far as I know, this was a great clam chowder. I remembered it from my first trip during Cimarusti’s reign. 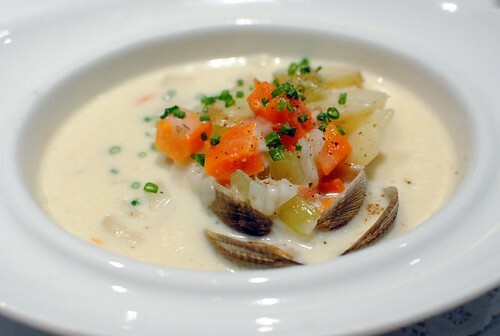 The chowder was creamy yet not overly rich and I loved having the clams in the shell. Really tasty with the essence of the clams clearly coming through, but I was missing the bacon flavor. Not as successful was the scallop sashimi. 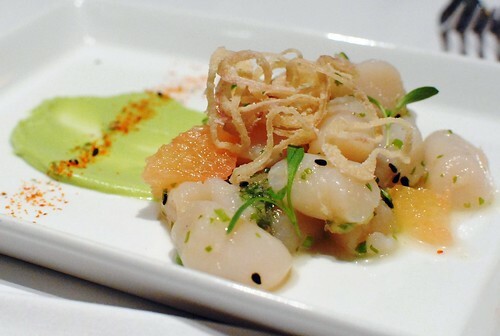 I really didn’t like the overly soft texture of the scallop and I thought the grapefruit was too tart. Although there was an option of three entrees, all five of us ordered this one. 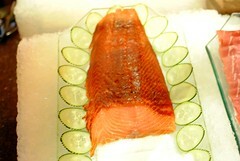 As expected, the fish was cooked perfectly; the dense, meaty fish was still quite moist. 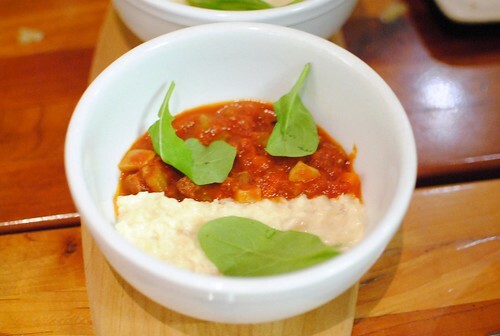 The cous cous and yogurt added some starch and tart acidity, respectively, completing the dish. 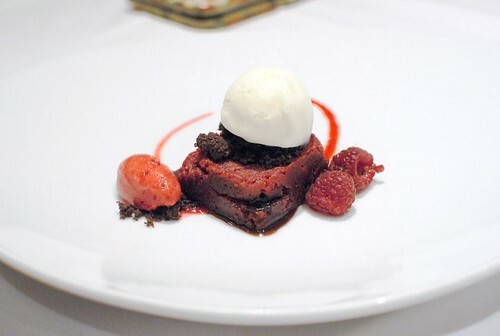 A simple dessert, the pudding cake seemed to be somewhere between a cake and a brownie. 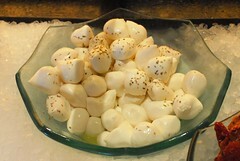 The mascarpone ice cream was delicious, and a nice variation on the traditional cream cheese frosting. 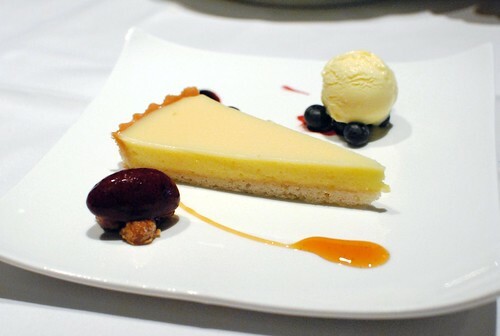 A solid lemon tart, but more of a highlight for me was the white chocolate ice cream. 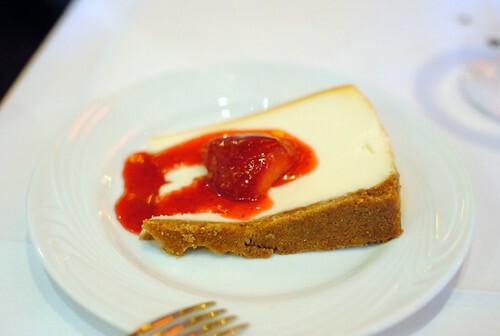 It was pretty tasty, and its sweetness nicely countered the tart Meyer lemon flavor. Water Grill was a solid meal and definitely worthy of its $28 promotional price tag, however I wouldn’t say it inspired me to return for a regular dinner (which would easily run into the triple-digits). I’m not sure if it was just the DineLA menu (although, each item we ordered was on the regular menu too), but I didn’t find the food to be that interesting. It seemed very predictable at times, and the execution was not always on-point. In my mind, a $40-per-entree price point demands something more.